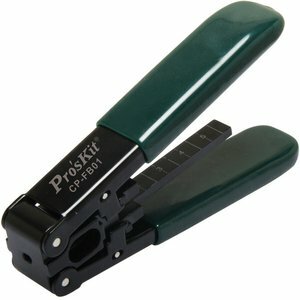 Pro'sKit CP-FB01 is a universal stripper for 3.1x2.0 mm FTTx drop cables with steel wire. Made of zinc alloy steel with PVC non-slip handle. Applicable for FTTH drop cables, fiber cladding diameter 125 μm.